TUESDAY, April 5, 2016 (HealthDay News) -- Weight-loss surgery seems to help ease joint pain and improve mobility in the long run, new research suggests. "Previous studies have reported improvement in pain and function [after weight-loss surgery]," said study author Wendy King, an associate professor of epidemiology at the University of Pittsburgh. However, most of those studies only followed people for a year after their procedure, she added. 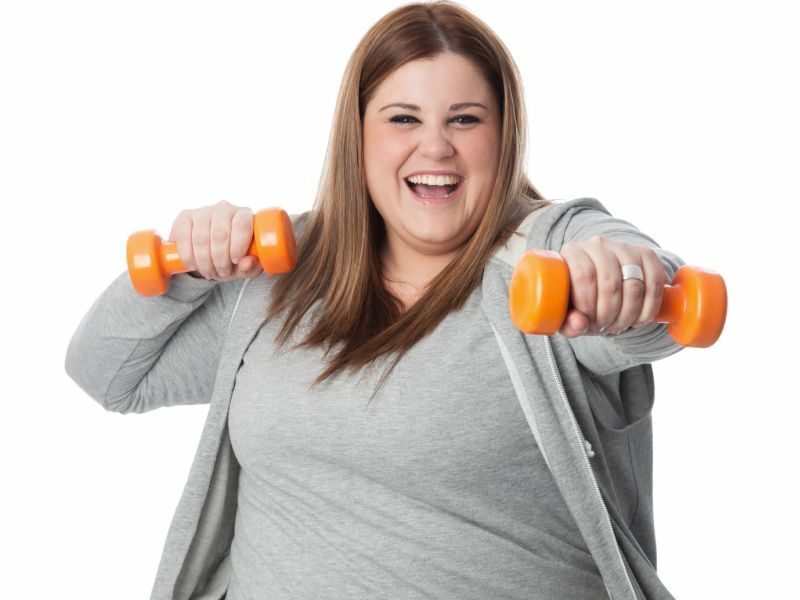 "We found through three years of follow-up that, depending on the measure, 50 to 75 percent of adults with severe obesity who had bariatric [weight-loss] surgery experienced clinically significant improvements in pain, physical functioning and walking time," she said. "Our findings reinforce the findings of shorter-term studies." King's team evaluated more than 2,200 men and women who had weight-loss surgery at one of 10 hospitals across the United States. The patients' median age was 47 and their median body mass index (BMI) was more than 45, which is considered severely obese. Most had the operation known as gastric bypass, which reduces the size of the stomach. At the start of the study, 44 percent could not walk a quarter mile in seven minutes, a commonly used measure for assessing mobility, King said. After three years, only 26 percent could not, she added. And about three-fourths of those with severe hip or knee pain or disability had improvement in symptoms of osteoarthritis by the third year, the study found. More improvement was seen in men, those who were younger, those who had higher incomes and those who had lower BMIs. Patients with fewer depression symptoms, less leg swelling and no diabetes at the study's start also saw greater gains in mobility. At the three-year mark, the patients weighed, on average, 28 percent less than they did before their surgery, the researchers found. The findings were published April 5 in the Journal of the American Medical Association. Why was there such an impact on pain and function? "Excess weight-bearing leads to joint damage, and that leads to pain, and that leads to restriction in activity," King explained. In some cases, joint replacement surgery followed the weight-loss procedure: About 4 percent of patients had joint surgery a year later, while another 5 percent did so in the second year and almost 5 percent more did so in the third year. Knee replacement surgery was much more common, the study found. Patients are sometimes advised to lose weight before having joint surgery, the researchers explained. The new finding "again shows that severe obesity affects the entire body, and quality treatment improves function and reduces pain," said Dr. Mitchell Roslin, chief of obesity surgery at Lenox Hill Hospital in New York City. The improvement found in the study is similar to what is seen after joint replacement, said Roslin, who wasn't involved with the study. "Additionally, many who are too high-risk for joint surgery because of their weight become realistic surgical candidates following weight loss," he noted. While weight-loss surgery has shown significant health benefits and is considered safe, the procedure is not without risks, and recovery time can be lengthy, experts have pointed out. Some of the risks include excessive bleeding, infection and stomach perforation.